The meningitis outbreak connected to a New England compounding facility quickly escalated over the weekend and has now sickened more than 200 and claimed 15 lives. NBC News is now reporting that two more drugs are being linked to the fungal meningitis outbreak being blamed on contaminated back pain injections. Both those drugs also came from the New England Compounding Center, according to a statement from the Food & Drug Administration. One is a steroid called triamcinolone acetonide and another is a product used during heart surgery. Boston Personal Injury Attorney Jeffrey S. Glassman notes the New England pharmacy has now issued a recall of its entire product line — a PDF on the FDA website that scrolls on for pages. “Triamcinolone acetonide is a type of steroid injectable product made by NECC. 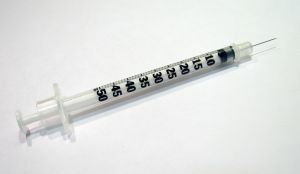 The cases of meningitis identified to date have been associated with methylprednisolone acetate, another similar steroid injectable product,” The FDA said in a statement. Previously, three batches of methylprednisolone were recalled. The steroid is injected into the back to treat pain. Authorities remain concerned about the crisis’ continuing escalation because the initial recall impacted as many as 14,000 patients and victims are not being diagnosed until about three weeks after injection. Back injections may also be a particularly effective way of transmitting fungal meningitis, which attacks the membrane around the spine and brain. Meningitis is a life-threatening health emergency with symptoms at onset similar to those of the flu, including headache and nausea. A number of patients have suffered strokes. The FDA is reiterating its warning: All products distributed to medical professionals by NECC should be retained, secured and withheld from use. It’s not the first time the the compounding facility has run afoul of regulators. In 2006, it was warned that is was going far beyond its licensing authority in compounding and packaging drugs. Unfortunately, these facilities, which mix custom drugs from FDA-approved compounds, are not subject to federal oversight. Such oversight is left to the states — Congressional gridlock has failed to tackle the issue in recent years. “FDA is particularly concerned about the manipulation of sterile products when a sterile container is opened or otherwise entered to conduct manipulations,” the agency said in its 2006 warning letter to NECC. If you’ve been injured in Massachusetts, call the Law Offices of Jeffrey S. Glassman for a free and confidential appointment — 1-888-367-2900.